So far administrador has created 179 blog entries. During the Seventh Edition of the Master in Classical Guitar Performance, 2019, University of Alicante, conductor Mihnea Ignat gave a course on Performance and conducting practice for guitar soloists. Concierto de Aranjuez was analyzed in depth. Accompanying pianist: Federico Solano. 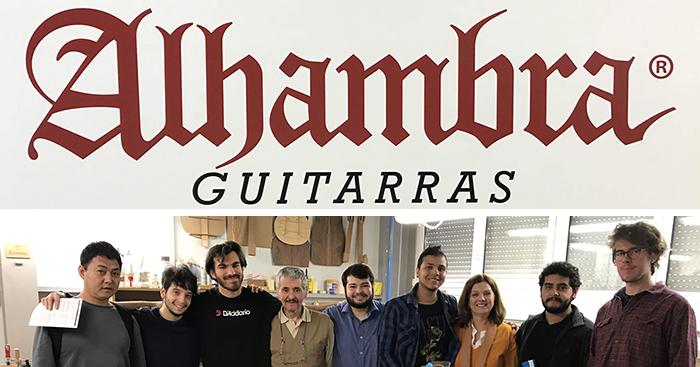 During the Seventh Edition of the Master in Classical Guitar Performance, 2019, University of Alicante, Jakob Lindberg gave a course on The vihuela and baroque guitar repertoire. Vihuela books. Features of the repertoire. Style procedures. Ornamentation. The four-course guitar. Features of the repertoire. The lute. National Schools. Style procedures. During the Seventh Edition of the Master in Classical Guitar Performance, 2019, University of Alicante, Mar Galindo, teacher in linguistics at University of Alicante, gave a course on "How to do a Master Thesis". Structure of the written work. Presentation rules.